PARIS / FRANCE – December 3, 2015 – As heads of state gather for the COP21 climate talks in Paris, MasterCard and the C40 Cities Climate Leadership Group (C40) today announced a partnership to connect Chinese and global megacities in a first-of-a-kind ‘Mobility Management’ network. With more than half the world’s population now living in cities, urban transportation is one of the key contributors to CO2 emissions globally. Drawing on technology and expertise from MasterCard, the C40 Mobility Management network will spearhead the sharing and activation of best practices to better integrate and optimize the various modes of public transportation available in a city. “The Paris COP21 ushers in a new approach to global action on climate change in which cities and non-state actors have a major role to play. The C40-MasterCard partnership provides a compelling example of the innovative and collaborative work that cities and businesses are doing to help China, the U.S. and other nations reach – and exceed – aggressive GHG targets,” said C40 Chair, Rio de Janeiro Mayor Eduardo Paes. A recent C40 report has shown that roughly a third of C40 cities’ action is delivered through knowledge sharing. By working together to share best practices and technical expertise, the network partners and city governments will accelerate action that has the potential to reduce emissions, save cost and improve quality of life for citizens. 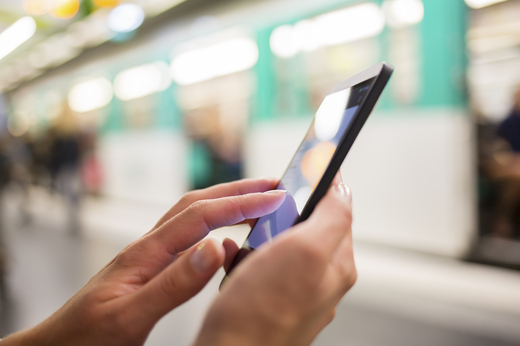 Mobility Management is a vital tool for resource-and time-constrained city governments. It can provide a cheaper and quicker way for cities to improve transport capacity, efficiency and accessibility than investing in new infrastructure, which can be expensive and time-consuming, and can neglect efficiencies within existing systems. New York, which has seen a 2 percent rise in transit ridership by introducing the MTA Bus Time program.